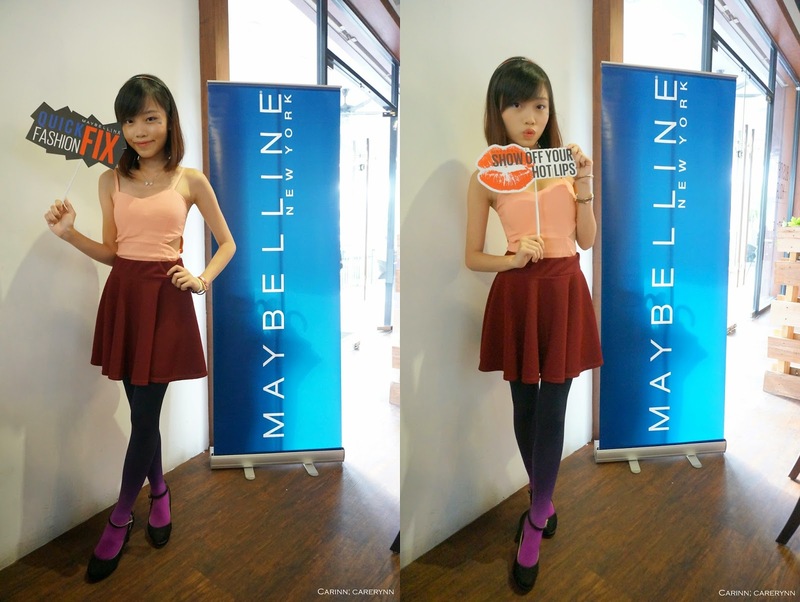 Carinn; carerynn | Malaysia Fashion, Beauty & Lifestyle Blog: Event: Maybelline Color Show - Show Off Your True Colours! Event: Maybelline Color Show - Show Off Your True Colours! Introducing Maybelline Color Show! Always the authority in makeup and color trends, this year, Maybelline is the proud sponsor of New York Fashion Week where the makeup artists worked hand-in-hand with top designers to create this runway-worthy range. 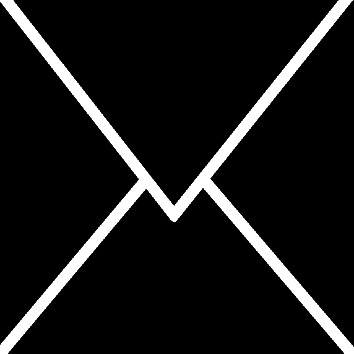 Show off your true colors with the No. 1 cosmetics brand in the world and Malaysia by wearing the latest range of makeup colors that are inspired by fashion on the catwalk. This range has the widest scope of must-have colors by far - 20 shades of nail colors, 16 shades of lipstick and 6 shades of liners. The color scheme will continue to grow in the future! You can go crazy and create as many looks as you want with these convenient, brilliant colours! Props for us to play around with. The wigs are super funny! 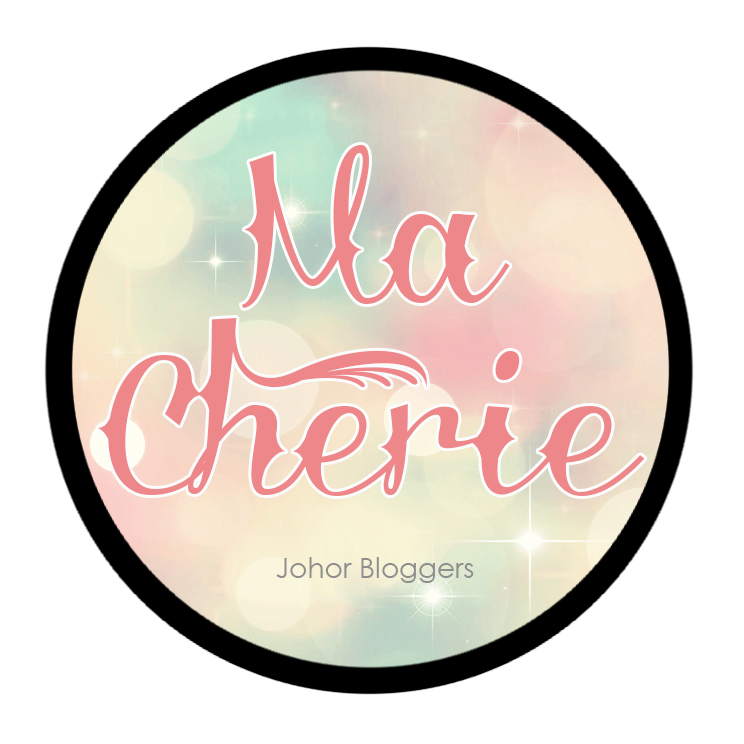 The Ma Cherie girls who attended the event. Always lovely to see these girls again! The event started with a quick presentation by Sharmini who introduced the new line of Maybelline products to us - Maybelline Color Show. Whether you are a first-time makeup user or an experienced user, there is something for everyone with the Color Show range which lets you create bold runway looks with its convenient and advanced formulas. Application is easy and fuss-free, the colours are brilliant to give you access to the seasons' hottest hues at your fingertips. Each Color Show product is specially developed to complement each other so you can easily mix and match, change or update to get an instant makeover. Stand out from the crowd with your hot lips, graphic eyes or crazy nail art! The best part is, every item in this range is totally affordable at under RM20! Just some of the awesome lipsticks & eyeliners from Maybelline Color Show! The 6 shades of twist-up crayon Color Show Liners are totally stunning! They are priced at RM17.90 each. The eyeliners have great color payoff, glides on smoothly and is most-importantly, smudge-free! My favourite is the turquoise coloured one. The gorgeous Color Show Lip Color, priced at RM17.90 each. This range consists of the hottest nudes, pinks, reds and plums. These colors emerged straight from the fashion shows to offer brilliance and boldness in just one swipe. Each lipstick has a unique name and the most interesting thing about these lipsticks is that each comes with its own berry-like fragrance. Totally sweet, totally attractive and totally fashionable! After a walkthrough of the products, it's time to put them to the test! We were given more makeup to play with and create a full look using Maybelline products! All the girls were deep in concentration while creating their own looks. 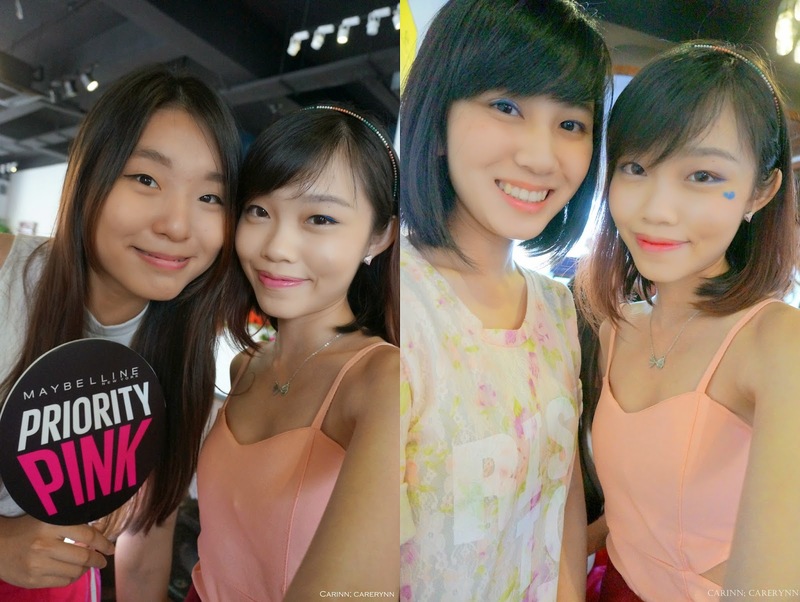 The winner would receive RM200 worth of Maybelline makeup products, how awesome is that? We were only given 20 minutes and we had to share mirrors, it was pretty nerve-wrecking! Close-up of my makeup. I love coloured eyeliner but this is the most colourful makeup I've ever done in my life. Haha. I tried doing a gradient lip and added a little heart at the side for a fun and flirty look. Honestly, the lipsticks are really yummy-smelling and glides on smoothly. I could do the gradient lips with ease because the formula is so smooth and blends easily. The smell is pleasant and isn't "fake" or nauseating like some drugstore lipsticks that I've tried. There were so many colours to choose from, it's really not easy to pick! As for the eyeliners, I have to admit that the colour payoff is super pigmented and bright, but one has to be cautious when using the liners because they tend to break easilly with more force. 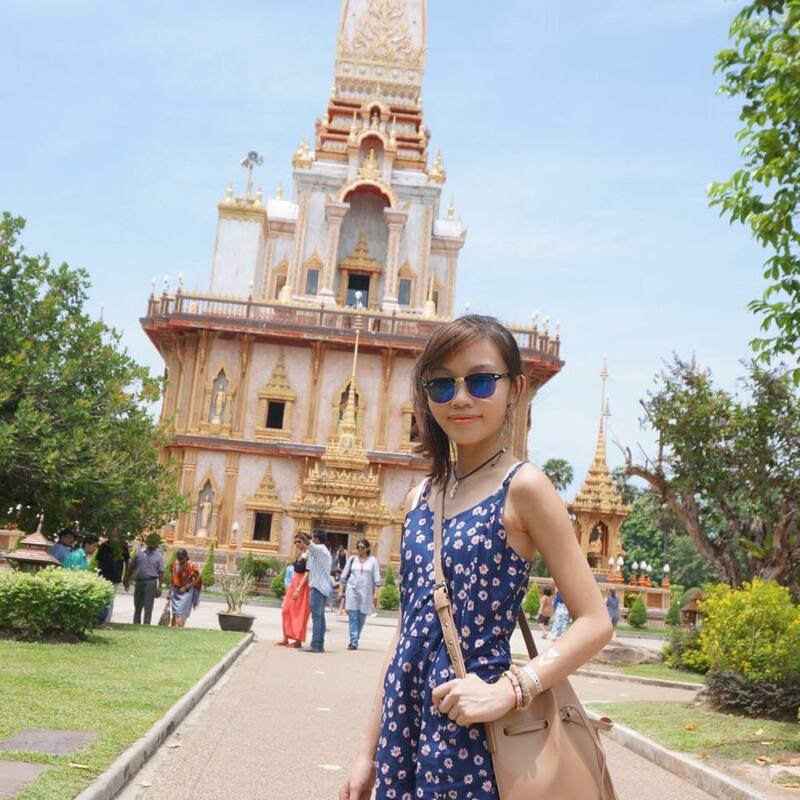 How do you like my look? Even though I did not win, I'm pretty pleased with my makeup! While waiting for the results, selfie with the one and only, Princess Neverland! Is our makeup colourful enough for you? The 1st and 2nd runner up goes to JiaJia and Fiona! And the winner is... Princess Neverland! She totally deserved it because she used the eyeliners creatively that they almost resembled eyeshadows. The contrast of turquoise and orange colour is so attention-grabbing! Here's the 20 amazing colours from the Color Show Nail Lacquers. They are RM9.90 each, which means that you can get the whole range at less than RM200, omg! Nails have been getting lots of attention during NYFW and they are an accessory. Explore your artistic side with these bold, in-fashion colours. This range of nail lacquers comes with a thicker brush and a 60-second quick dry formula for smoother, quicker and easier application. There are glossy and sheer colours which are buildable so you can go as dramatic as you want! We were given coffee filters to do a quick test on the nail polish. The formulas of these nail polishes are permeable. 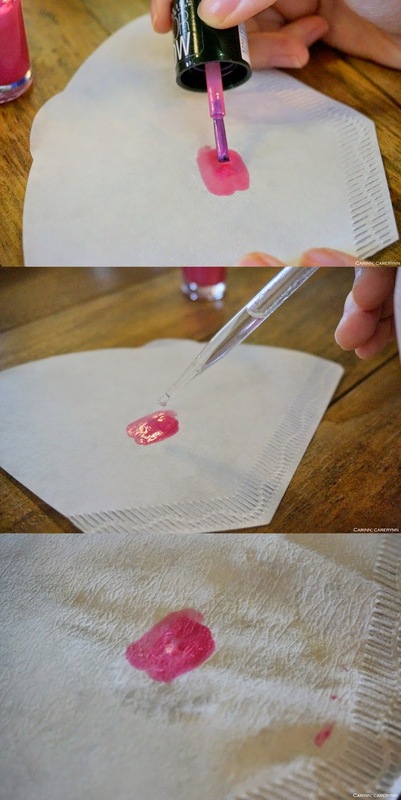 Drop a small drop of water on a single layer of Color Show Nail Lacquer and see the water seep through the paper around the nail polish. This means that the nail polishes are breathable on your nails. Another mini contest we had was to create nail art with the Color Show Nail Lacquers and some nail accessories in 15 minutes. Somehow, I always related alluring eyes to Maybelline New York so I drew this eye with crazy coloured eyeliner to represent the brand. I haven't had practice doing nail-art in years and coupled with the lack of tools, my design was kinda messy. Still, I liked it! Cute anot? I find that the nail lacquers have a great colour range but they are quite thin so a few layers is needed to achieve opacity. As promised, they do dry quite fast so I had to work fast to do the nail-art. There is hardly any toxic smell and can be wiped off with ease using nail-polish remover. The bloggers' work of art. The winner gets to bring home the whole set of Maybelline Color Show Nail Lacquers! Edlyn won and she was so ecstatic because she was just telling us that she wanted to buy new nail polishes haha. Her design is the floral one and she used about 9 colours just on one fake nail! After all that makeup and manicure, we were starving. 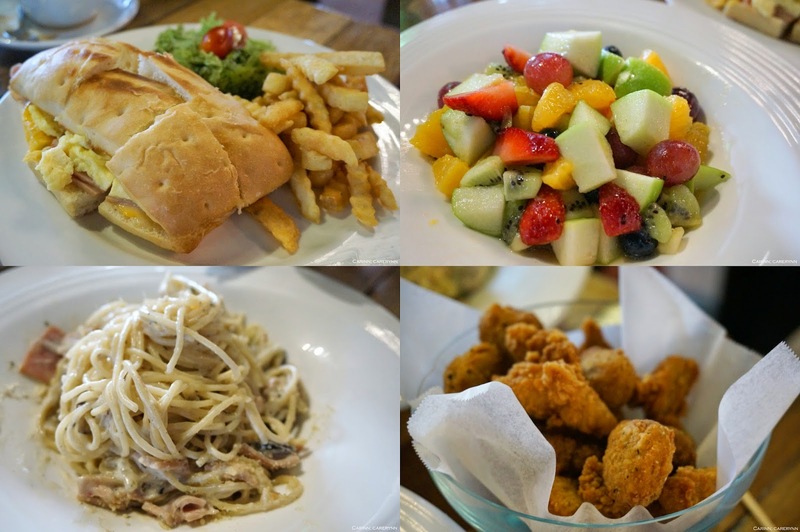 BE Coffee serves really good food to fill our tummies! Selfie time with my babies Eunice & Edlyn! The Ma Cherie girls with the hosts. Connie said "Do a crazy pose, Maybelline is all about fun after all!" 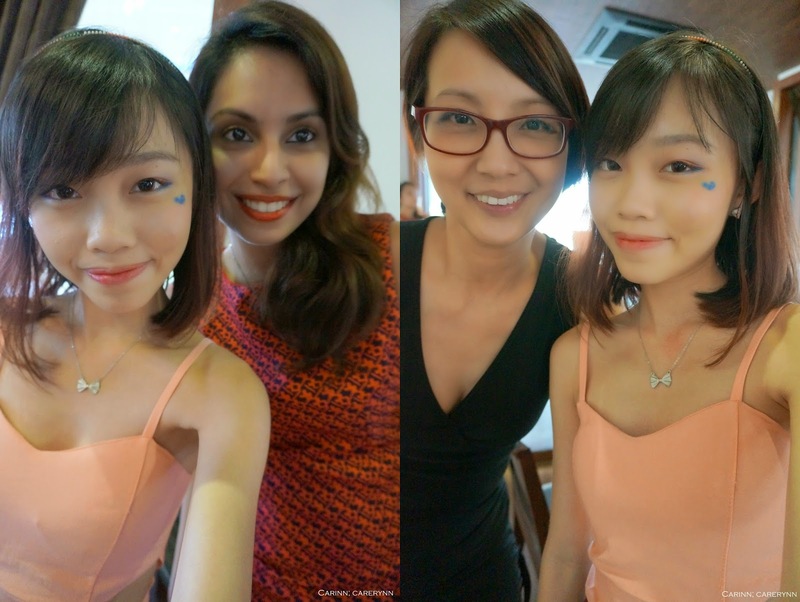 With Sharmini and Connie. Thank you for organising such an awesome event! Last but not least, my colourful OOTD! The theme was Fashionably Colourful and because I have an obsession with themes, here's my crazy colourful outfit. Maybelline New York Color Show Lip Color and Color Show Liner are available at selected pharmacies, hypermarkets and supermarkets. Color Show Nail Lacquers are only available at selected Watsons and Guardian stores. You can find out more about this range and other Maybelline products on their website, Facebook page or Instagram! Hashtag your photos with #maybellinemalaysia and #mycolorshowoff to show off your colourful looks! Don't forget to LIKE Butterfly Project Malaysia on Facebook for more updates on upcoming events! I agree! And the scent is another reason to buy all of it!